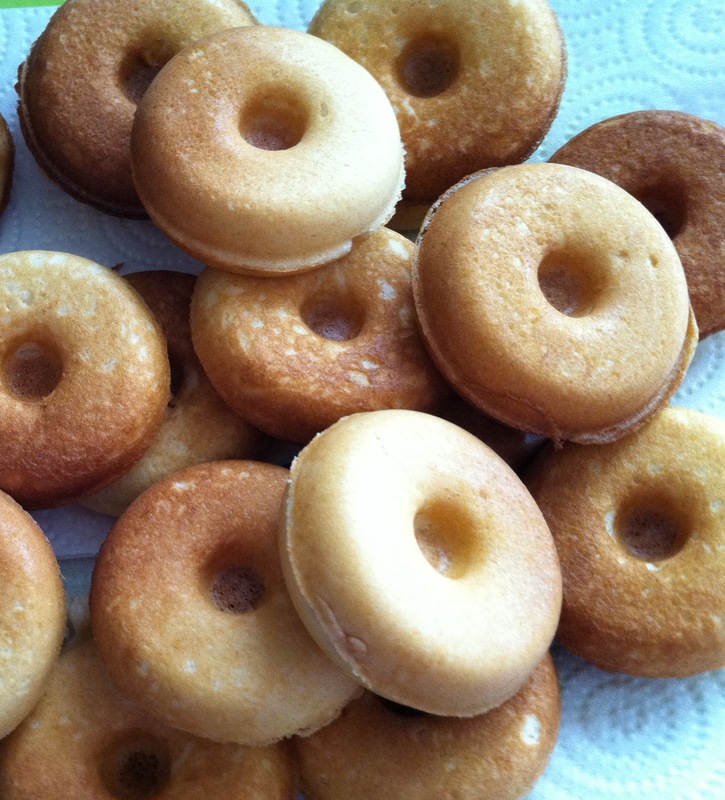 Have you made Mini Donuts yet? 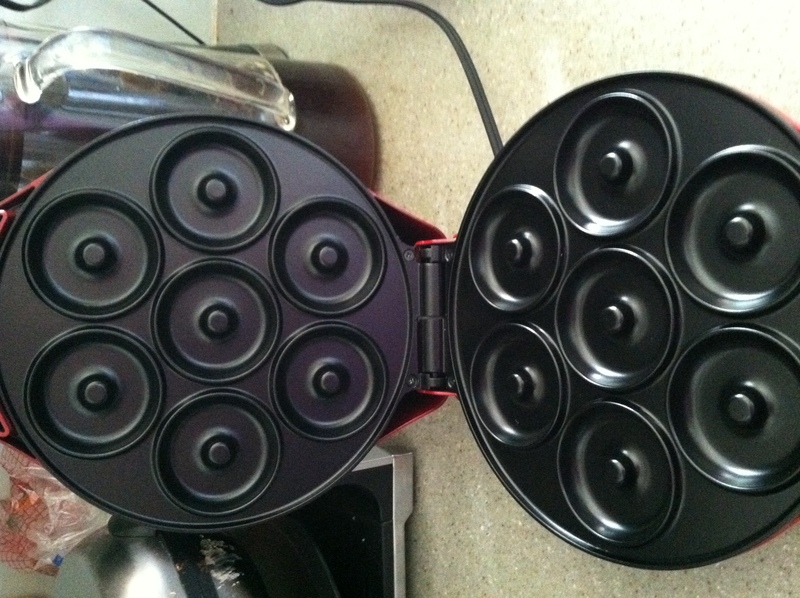 One of my Christmas presents from Travel Man was one of those little mini donut makers. He loves getting me new kitchen gadgets, and this one was at the top of my list. 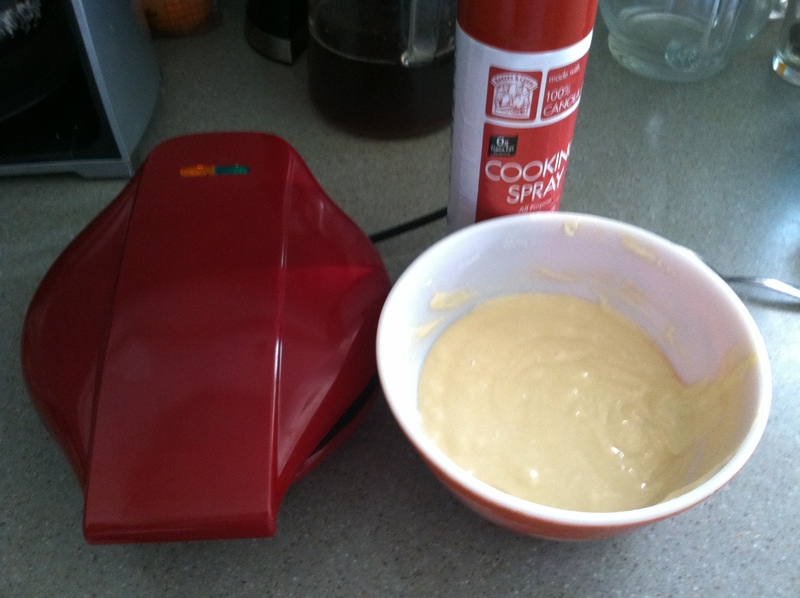 Add egg, vanilla, and milk and beat 1 minute with electric mixer or vigorously by hand. Add oil and continue to beat for 1 more minute. Now you’re ready to plug-in the donut maker, and get those goodies going. 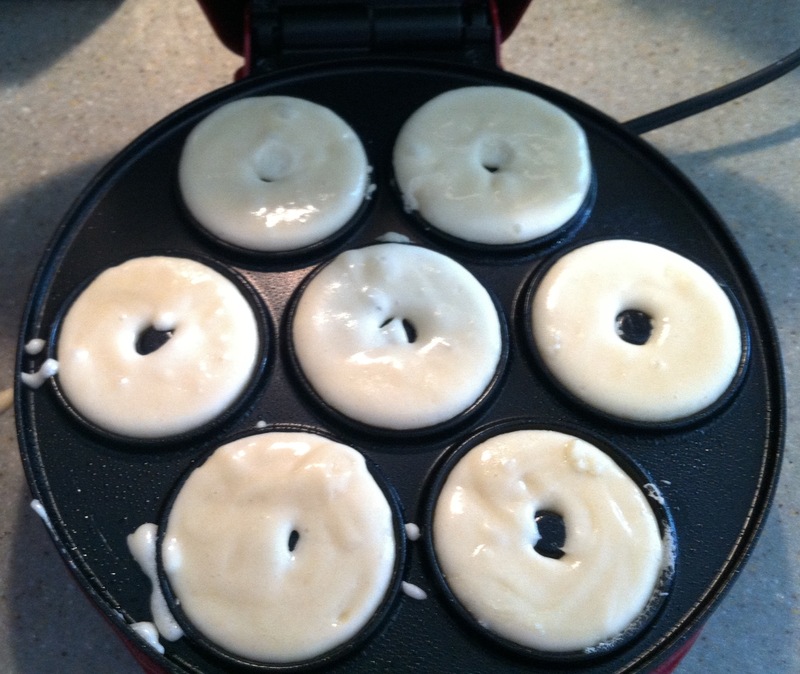 The donut maker just plugs into the wall, and heats up like a waffle iron. Once heated, you spray the top and bottom with some sort of non-stick cooking spray, add the batter, close the lid, and bake until the “ready” light comes on. Once they are baked place the little goodies on a plate or cutting board to cool. At my house you have to guard treats like this with your life, so they don’t disappear instantaneously! You can also frost the donuts, and dip them in sprinkles, or some other sugary delight. For our very first round of donuts I just wanted them plain so I could tell how this recipe tasted. The donuts were very light and delicious. Like little cakes, but not too heavy. Just the right amount of sweetness for me. Left plain these little snacks would freeze very well. The mini donuts disappeared quite quickly after I sounded the alarm that they could be eaten. I think I might try something with pumpkin next, or maybe lemon poppy-seed. Those would be my two favorite flavors to experiment with. What’s your favorite donut or muffin? Have you tried the mini donuts?